Still on the road . . . an author on tour . . . the old-fashioned show-up-in-person kind of book tour, not to be confused with the virtual blog tour I did last August. During the blog tour I reached 17 million readers; during this road tour I’ll probably reach a one-hundredth, or even a one-thousandth that number. Yet how can we measure the difference between viewing a web image and looking into someone’s eyes? Each experience has its particular magic, but nothing replaces the authenticity of an author up-close-and-personal. As I mentioned in my last post “The Amazing Indies,” this tour includes a mix of indies and major chains. Given that some large chains don’t populate the Western states, and that Borders has sadly disappeared, during this tour my chain store events were all in Barnes & Noble stores. We may complain about the big-box infestation, the sameness from store to store, the fact that some employees tend to rely on computer searches to find a desired title, rather than drawing upon their own knowledge of books. Yet as I travel and also review past experiences with B&N, there are qualities of excellence to counterbalance the negatives. The stores are beautifully designed. Stairs and lofts, seating and play areas, cafes and a well-appointed display of the fantastic Nook E-Reader in all its versions and with its multi-colored covers . . . well, it’s a shopper’s paradise. Perhaps more importantly, you can actually browse stack after stack of books, rack after rack of magazines, and move from genre to genre in a delicious world-expanding experience that is both mental and physical. I mean, it’s swell to have a gazillion titles searchable on-line, and we need that, too. But after a while, all the little tiny rectangles of data-reduced book covers begin to look exactly the same to me and I can feel myself edging toward “tilt.” In a real bookstore, all five senses are stimulated—and this is also a mandate of Women’s Fiction, by the way, so I’m constantly aware of sight and sound, smell and taste, and touch. It’s truly a sensory experience to touch books, the satiny dust-cover and the heavy linen cloth-bound; to inhale the aroma of fresh pages as the book is opened; to hear the sough of pages; to assess the glossy foil stamped versus the subtle matte finish. B&N stores are busy community centers. Some customers arrive on a mission, making a bee-line for the product they need. Others wander in to browse and sip a latte, since B&N brilliantly pairs with Starbucks. On a corporate level, imagine what it takes to create a standard of excellence demonstrated in every one of its thousands of branches. It’s a huge mission, and one that is largely fulfilled. By far the most important thing I’m getting from this part of my book tour is the value of booksellers. They’re the link between authors and readers, the translators who can channel a reader’s vague wish into a satisfied quest, the individuals who make it possible to go home with a book you’ll truly enjoy, having discovered an author whose writing makes a difference in your life. As I waved goodbye after my signing, I looked up at the Barnes & Noble sign. It doesn’t say Bookstore. It says Booksellers. That was a great “aha” moment. As a reminder . . . it’s almost Valentine’s Day, and What the Heart Knows is a heart book—a perfect Valentine’s gift for someone special . . . like you! Each of the B&N stores I visited on my tour asked me to sign extra books, and they’re waiting for you. Barnes & Noble is a valuable resource, and will remain so no matter how much commerce is transacted on the internet. Sometimes, we need a place to go in person. 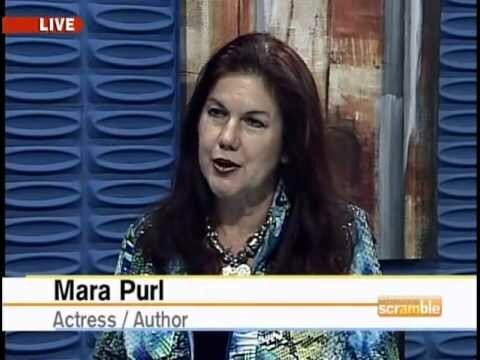 This entry was posted in about issues of the heart, American West, Art and Entertainment, Author Mara Purl on Book Tour, Barnes & Noble, Book Marketing, Books, Bookstores - Large Chains, Charles Dickens, Community, community and transformation, Connecting through books, Love of Books, Milford-Haven Novels & Stories, Romance Novels by Mara Purl, Travel, What the Heart Knows, Women's Fiction, womens literature and tagged book signings, booksellers, Charles Dickens, e reader, five senses, latte, stack of books. Bookmark the permalink.